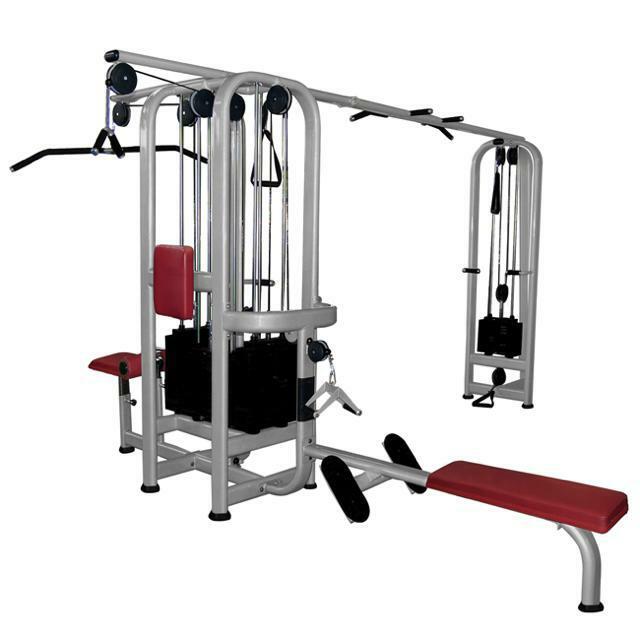 The FM is our high end series of gym equipment for professional gym usage. The series was developed over 3 years by fitness professionals based in the US. The FM benefits from double pulley system throughout the range and is attractive with its integral appealing looks. Available in either light blue or brown acrylic enclosures, the strong design uses 800 kg rated cable and 1200 kg bearings. Frame design uses an elliptical section measuring 57mm x 115 mm x 3 mm ensuring a strong and stable machine. New product, 2 years warranty. Set up dimension: 4450x3400x2230mm net weight: 318 kg. gross weight: 386 kg. weight stack: 337,5 kg.